Prelude: Defensor here is the combined form of the Combiner Wars Protectobots Hot Spot, Rook, Streetwise, First Aid, Blades, and Groove, all of whom I have reviewed separately. This review here focuses only on the combined figure. Combined Mode: Hot Spot as the leader forms the torso of the combiner. Basically the figure just turns around, folds its head in, and wraps the ladder with the Defensor head at its end once around its entire body. The base of the ladder expands into the chest piece and the head is plugged in on top. The four Deluxe-sized Protectobots become the arms and legs, each of them capable of being either. I have no particular preference here except that I think Blades looks better as an arm than a leg, the other three work well as either. Finally, Groove plugs into Defensor’s otherwise pretty boring looking chest as an additional chest plate. You wouldn’t think that it would make much of a difference, but it really does, so let me put this out there right here: if you want to assemble Defensor, please get Groove as well. He’s not strictly necessary, but Defensor looks so much better with him. Once combined, Defensor is, in my mind, one of the most playable combiners ever. He’s not nearly as fragile as other combiners have been (both in G1 and later), there is very little danger of parts or limbs just falling off, he’s fully articulated, and the proportions work fine as well. Sure, he’s not as huge and detailed as TFC Ares, for example, but he’s better balanced, more stable, and will actually survive a kid playing with him. Unlike quite a few other people I actually like the hands of the Combiner Wars combiners, as they work pretty well in my mind and include additional weaponry in the knuckles. That said, they really don’t work well as feet. They are stable, yes, but they look pretty tiny, so I’ll probably give the Perfect Effect upgrade a go to put Defensor in bigger shoes. Defensor can use the two big guns from Hot Spot as his main weapons (though the combined rifle looks stupid) and attach as many of the other figure’s weapons to his arms or legs as you want, too. Finally I must say that I really like Defensor’s look, too. His face might sport a bit of a sad look, but overall there is little I would change here. A very nice, stable, durable, and plain fun combiner. 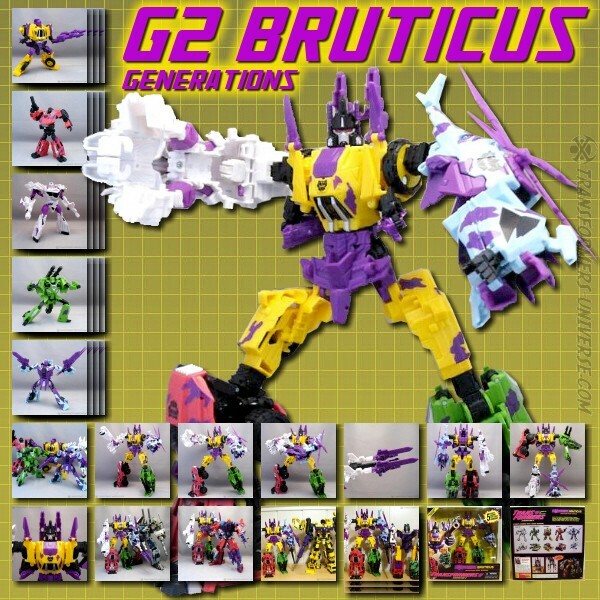 Remarks: Much like the other G1-based combiners Defensor never got much in the way of characterization, only turning up to get into brawls with other combiners or occasionally save a derailing train or some such. He’s the second most well-known Autobot combiner after Superion and I like both his stocky look and what little we’ve seen of his personality, epitomizing the Protectobots’ need to protect innocents. Defensor is also my first completed Combiner Wars combiner, as I’ve skipped Superion and was sabotaged by Hasbro’s decision to forego the wave containing four fifths of the Stunticons here in Europe. And I must say that, as first impressions go, Defensor is brilliant. I don’t think I’ve had this much fun with a combining robot since Fansproject’s Bruticus upgrade. So unless you’re simply not a fan of combining robots or fully dedicated to getting the larger, more detailed, more expensive third party versions, I fully recommend you get Defensor. Just don’t forget Groove.